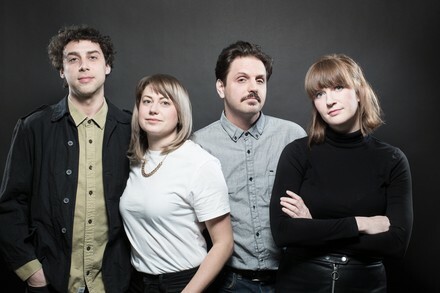 Formed in 2016 by vocalist Cayley O’Neill, guitarist Claudia Maria (The Sweets) and keyboardist Eric Heitmann (Speed Strips), Dark Time fuses folk-punk with synth-pop to create a feeling of discovery. The music is a journey, with sparse compositions that gradually explode into rich electronic fuzz by the climax. The band (now a quartet with drummer Mathieu Blanchard) is continuing its trek into uncharted territory with an EP produced by Chris Dadge of Lab Coast coming this summer.